Live worship that takes you into God’s presence. 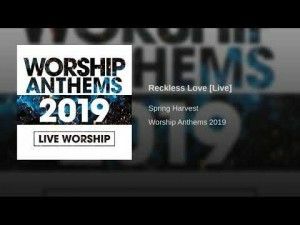 Worship Anthems 2019 features live worship recordings from leading Christian festivals and events. Events you yourself may have been at. 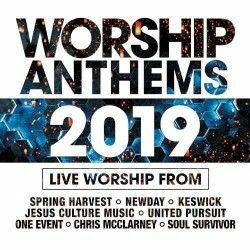 This year’s Worship Anthems albums features songs recorded at Keswick, Spring Harvest, Soul Survivor, New Wine, NewDay, and One Event. All festivals that are at the very forefront of Christian celebration and community. With songs by Kim Walker-Smith, Lou Fellingham, Stuart Townend, Jesus Culture and more, there is plenty to suit all tastes. And you may even find a new favourite nestled amongst the other stellar songs of worship. This is the 2019 "Worship Anthems" compilation from Essential Christian which means that as standard this features music from some of the biggest live releases of 2018 that they expect to see making an impact in churches through 2019. There is one thing though, this was released in October 2018, which means that it will be slightly behind the curve as about the same time the latest albums from Jesus Culture and Soul Survivor were released. 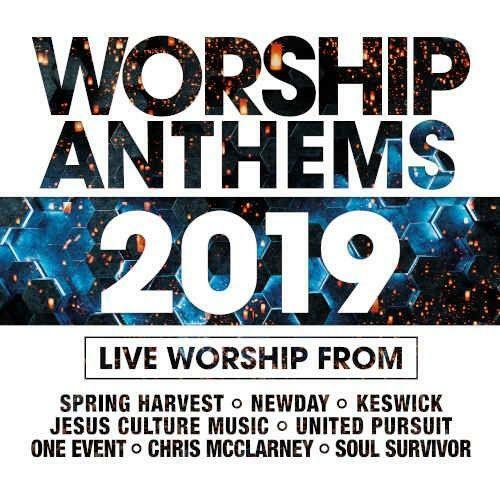 This means that two big organisations do not have their latest releases featured in this collection, although there is plenty of Jesus Culture still represented, not so much with Soul Survivor, out of the 28 tracks only 2 are from "The Promise" which is the live worship from 2017. Looking on the positive side there are 28 tracks of modern worship, recorded live at various events around the world on this 2 disc collection (if you still buy physical CD's) and these do feature the latest music from artists like Chris McClarney with a few tracks from his newest album "Breakthrough", there are also live tracks from Spring Harvest's albums "Only The Brave" (2018) and "One For All" (2017), as well as One Event, Keswick Convention and Newday Worship. So there are quite a few albums from some of the largest live worship events represented on this disc and by buying this you are getting a curated selection of 28 of the best tracks from these for under £10! There are hidden gems amongst this collection are tracks like Lou Fellingham's "This Changes Everything". Other tracks to look out for include "Build My Life" and "Your Love Is In The Room" from United Pursuit. With Keswick Convention in the mix for this album there are a couple of more hymn-based tracks including the rewritten version of "Facing A Task Unfinished" and "We Have An Anchor" which is the version that was included on the "The Hymns Project" album of the same name by Colin Webster and Phil Moore last year. So all in all this is quite a mix an probably something for everyone, from the more dance style worship of the youth events like Newday through to the more traditional worship of Keswick with a sprinkling of Jesus Culture over the top of everything. And finally....the award for the longest track on the album goes to...Kim Walker-Smith (Jesus Culture) for the track "Love Has A Name" which runs to 10 minutes, over 3 minutes longer than any of the other songs! In order to get the most out of this album and to really see the value you need to have a wide-ranging enjoyment of different styles of worship, otherwise I would recommend that you buy the original live album in the style that you prefer.